Are fried foods really bad for you? The title itself must have grabbed your attention. After all, who doesn’t love eating pakoda, chips, fries or samosa? But these delicious dishes are packed with fat, the most-calorie dense nutrient. So, what’s the solution? Learn to eat it the right way. Frying has always been an integral part of Indian cooking. And not to forget, it can be healthy too. The whole fad of non –fried samosa is actually bad as it increases the glycemic index of the food as compared to the fried version. You could easily gobble down 2-3 baked samosas thinking the baked versions are good for your health. However, in reality, one fried samosa is far better than 2-3 baked ones. Yeah, that’s the bitter truth. But worry not! Help is at hand. Without much ado, let’s learn the smart way to eat fried. These two concepts of our PPTF approach should become your best friends if you want to relish fatty foods without worrying about the weighing scale. Once you learn to implement these two concepts, you’ll be able to make every day a cheat day! Instead of the evening, savour your fatty food early in the morning, when you’re more active and your BMR is at its peak. 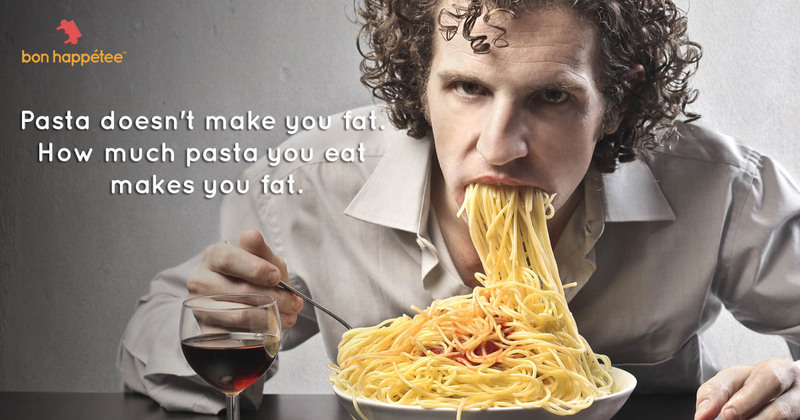 As a result, fewer calories will get converted into fat. 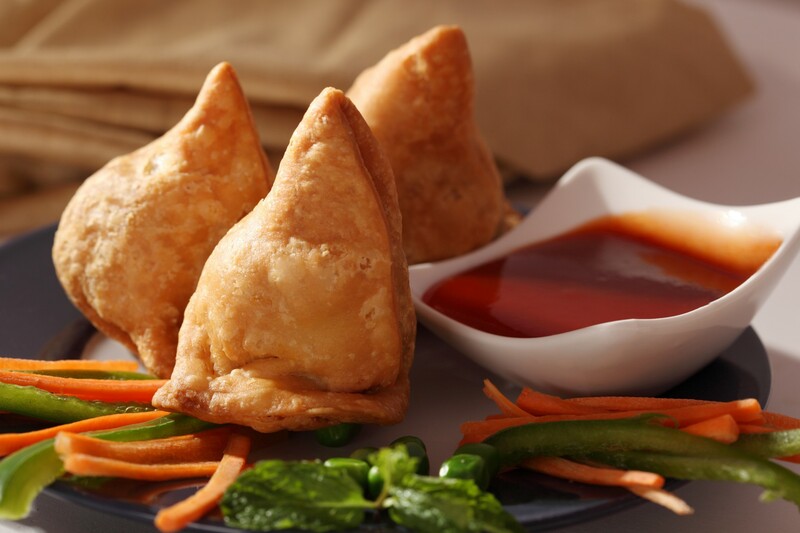 Let’s say, you are in the mood for a samosa. Our advice is to skip the pav and instead get a protein-rich egg-white omelette or a besan chilla for breakfast along with the samosa. This way, you’ll get all your three pillars of nutrition – proteins, fats, and carbohydrates – in one meal. And btw, restrict yourself to one samosa. Similarly, you can eat fries made from a medium-sized potato along with grilled paneer and veggies or grilled chicken for lunch or breakfast. If you are craving for everyone’s favourite street food – pani puri, go ahead and treat yourself. Just remember, skip the potato and opt for sprouts, chana or ragda filling to balance the nutrients. Choose the right oil and frying method and the battle is half-won. Groundnut oil is your best bet. With its high smoking point and goodness of mono-unsaturated fatty acids, it is the ideal oil for frying. Cooking fried at home is a trick that always works. You can monitor the quality and quantity of oil. Since frying is a tedious process, this way you’ll only use the frying pan once or twice a month. And yeah, deep frying at a high flame is much better than deep frying at a slow flame since lesser oil will be absorbed. PS: Shallow frying may seem a healthier alternative, but sometimes, it absorbs more oil than deep frying. So, keep an eye on the oil you use while you shallow fry. If the moisture of a particular food is high, the fat absorption goes double or even triple. So, keep the moisture content in check to ensure that fried foods do not absorb excess oil. Let’s say you are preparing batata wada at home. The besan batter has to be of pouring consistency. If you add a lot of water, then the wada will absorb more oil and in turn, make it greasier and fatty. The same rule applies for pakodas. A soya-fortified batter is an excellent way to increase the protein content and lower oil absorption. Adding 10% soy flour with wheat flour or 20% soy flour to gram flour batter reduces oil absorption by nearly 20%. Now, that is a smart trick to ‘have your pakoda and eat it too’. When we reuse oils, its smoking point decreases. This, in turn, leads to higher fat absorption. 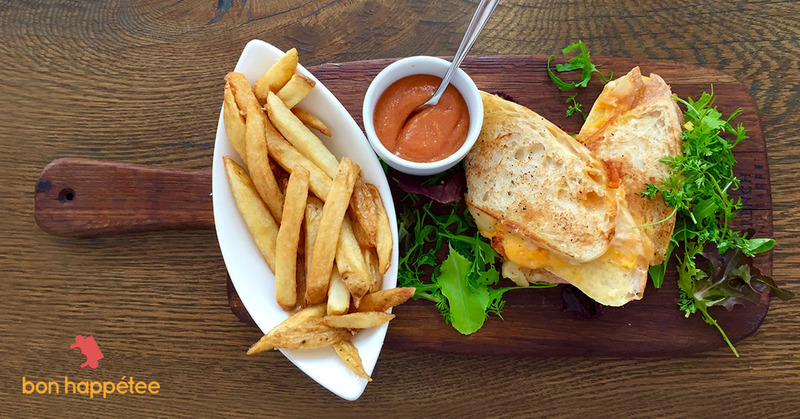 Simple steps such as avoiding sodium bicarbonate in the batter or removing your favourite munchie on an absorbent paper will keep the fat in fried foods in check. 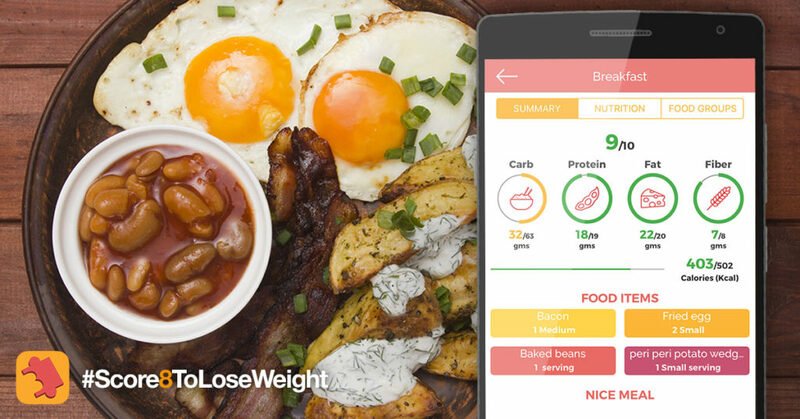 And if you are looking to get some smart recommendations on making nutritionally balanced meal plans then head right to bon happetee app and try the “build my meal” feature in meal suggestions section. Just tell us what you feel like eating and let the app build a complete meal around it. Say no to diet plans, say yes to smart meal plans and lose weight naturally. You are doing everything that you ought to. You stock your kitchen and fridge with greens and vegetables, you supervise the tiniest morsel that goes into your mouth and it’s been months that you have tasted your favourite ice cream or dessert. 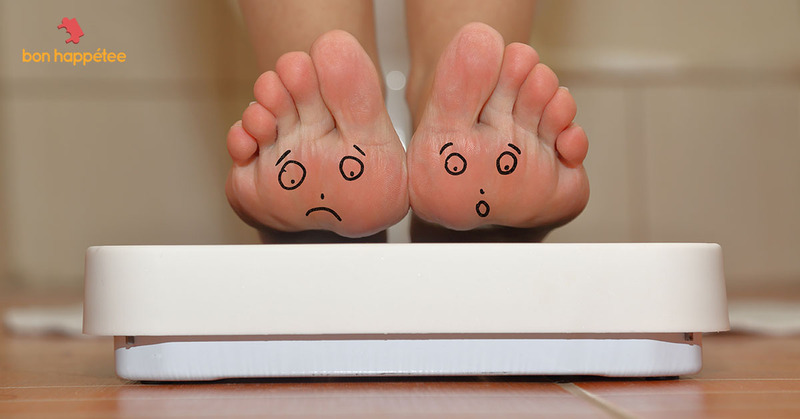 But, when you weigh yourself at the end of the month, you realize that nothing is working. You have gained weight, yet again! In spite of so many sacrifices. Certain night time eating habits sneak into your lifestyle without your knowledge that might play a big spoilsport in your weight loss journey. Munching in the night. Surely, you wouldn’t have thought of this practice as the reason for your weighty woes, right? But, night time munching is keeping you away from attaining your fitness goals. Let’s understand how this habit is creating havoc with your weight loss. Ask yourself – Does my dinner look heavier than lunch? If the answer is a yes, then you need to reduce your portion size at dinner. We are more active in the morning versus the evening. As our activity levels decrease, your body requires fewer calories. With a heavy dinner, you overload the digestive system, which is winding for the day. It will convert all those extra calories into fat. So, a king-sized dinner results in a ‘fat hangover’, which makes it far worse than the alcohol one. However, it’s not just the quantity, but also the food choices at night which cause weight gain. Cream-based gravies or soups, fried food, and desserts are difficult to digest. And as the day progresses, digesting these foods becomes tougher. With nine calories per gram, fat is the most fattening nutrient, whereas sugar in dessert quadruples the calories. So, the super-healthy chole bhature, paneer paratha or dal makhni and jeera rice which is otherwise nutritionally balanced meals do not make for an ideal dinner. Eating high-calorie meals at night stands among one of the top reasons you’re struggling with the extra pounds. Now, do you eat dinner late at night, say around 10:30 -11 pm? If it’s an affirmative, then you’ll have to change your dinner timing. The earlier you dine, the better it is because you would be less active late in the night. And less activity with a late dinner is a double whammy for your weight gain. Staying up late at night increases your chances of munching. It also increases the levels of ghrelin hormone which increases appetite and decreases the levels of leptin hormone aka the satiety hormone. 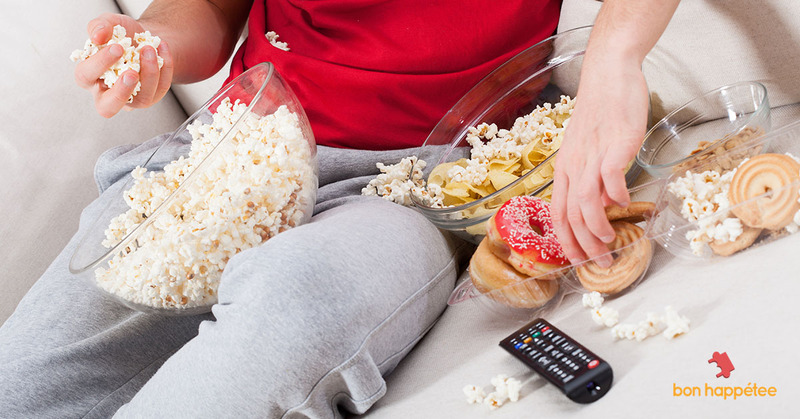 Late-night television or internet browsing is often associated with snacking on salty, fried or sugary foods. You wouldn’t even possibly realize you’ve finished a packet of chips or an entire brownie while surfing these gadgets. 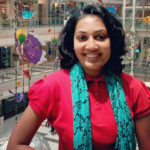 What’s more is that this habit will create havoc with your sleep pattern. And puff goes your weight loss goal. So, late dinners and sleeping late at night slim down your chances of getting slim. 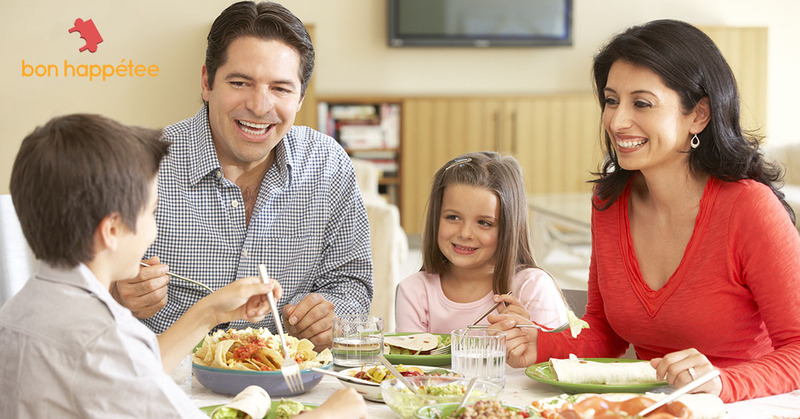 Fixing a regular sleep and early dinner time is the key to a healthier and lighter you. 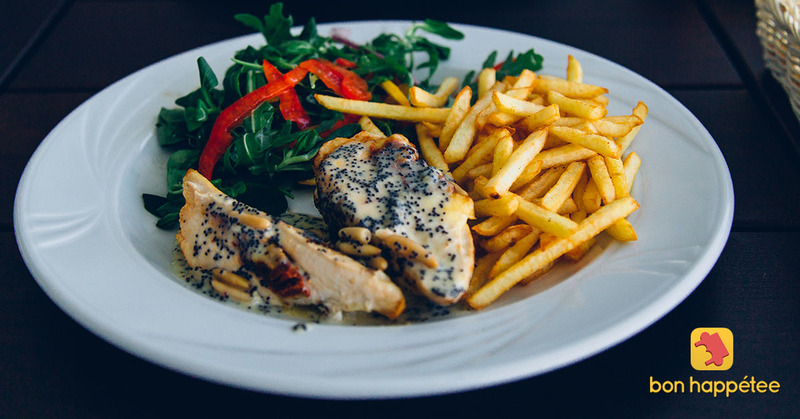 A long interval between lunch and dinner often results in heavy dinner. 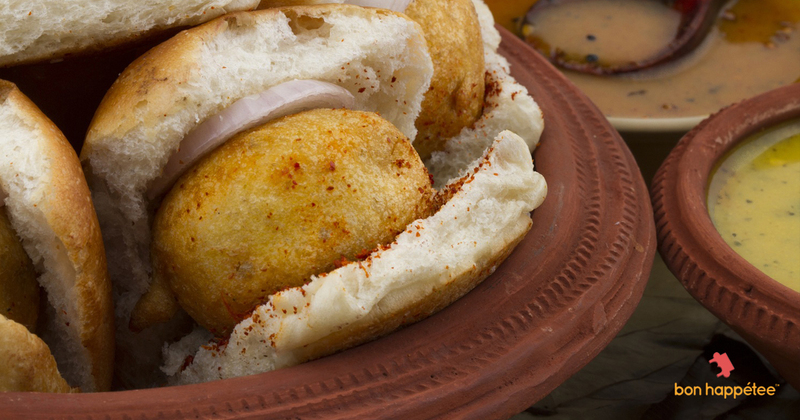 Grab a wholesome evening snack – grilled sandwich, frankie or idli, sambhar and chutney – to bridge the gap. Don’t watch television while eating dinner. Any distraction during meals increases the chance of overeating. Drinking alcohol is associated with overeating and bad sleep. So, it’s advisable to stay away from booze if you want a good night’s snooze. Try to eat dinner before 9 pm. If that’s not possible, eat a khakhra, roasted makhana or kurmura before you leave from work. Once you reach home, restrict yourself to one chapati/ half a bowl of rice, dal and some vegetable. A light snack before heading back home will keep the portion size in check. Most importantly, don’t skip dinner or only eat soups, salads and fruits. Eat a balanced but light dinner. You’ll wake up happy and fresh the next day. It will clear your bowels and possibly help you shed some kilos along the way! Stay away from the low-carb and high-protein dinners. As proteins are super difficult to digest, you’ll end up sleeping with a bloated tummy. It’s important to keep the frequency of desserts and fried foods in check. Savour them only on special occasions. And if you can’t control the craving, relish it as a mid-morning snack. Try to walk 1000 steps or sit in vajrasan for five minutes after dinner instead of immediately lying down on the couch or hitting the bed. Skip the night-time craving for tea, hot chocolate or coffee since their caffeine content affects sleep. A cup of warm milk with cardamom or chamomile tea will induce good sleep. Small habits after you are done with dinner like brushing your teeth immediately or chewing fennel seeds go a long way to keep your weight in check. Read more about this here. 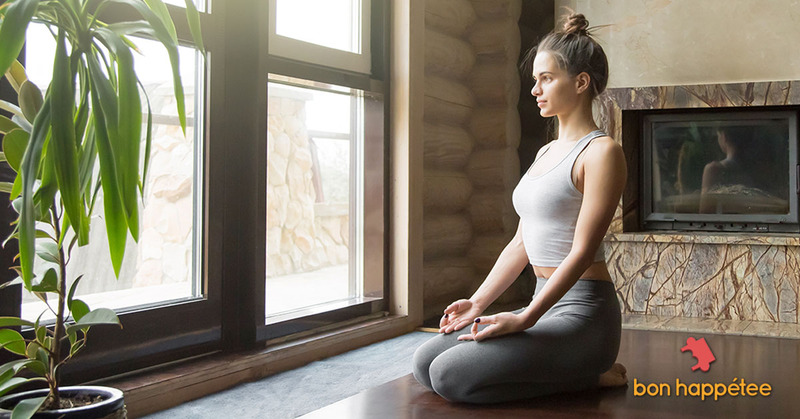 With a tab on these sneaky habits, we are sure there’s nothing that can keep you away from attaining your weight loss goal. So, here’s hoping to happy and healthy night-time habits along with a healthier and happier you. ?